manufacturing partnership, supporting you every the step of the way from design concept to manufacture. A huge range of machines with the ability to mould a vast amount of materials. Our metal pressing plant has the ability to produce complex shapes from from a range of materials. 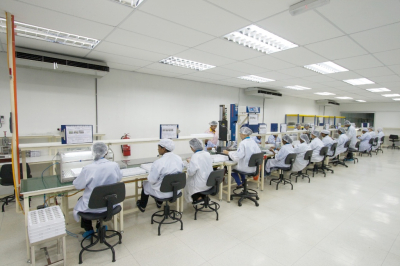 We have the knowledge and exprience in setting up and transfer whole assembly lines to our in house facilities. Avantis International has accumulated unparalleled exprience in meeting the needs of western markets, by adopting the capabilities of fast growing and highly efficient manufacturing loctions in South East Asia. We are a truly global OEM fully integrated manufactruing supply chain solution. All our processes are in house and verified to ISO 9001, we specialise in taking our customers through the whole design, development and manufacturing program. Our team is proud to offer such diversity in its in-house production facilities to satisfy any international customer requirements.